High-performance, low-power: Full hardware logic that quickly and easily reads 1D/2D barcodes in a variety of applications, but requires only one-third of the power consumption of a typical product.LCD screen/phone barcode recognition: Easily solve the increasingly common problem of barcode recognition of mobile phones, and make the preparation of products or solutions more complete.Red light illumination laser aiming: With lighting and cross aiming, you can read barcode targets in a completely dark environment. Features Strong versatility Adjustable buckle can be combined with 5~8 inch mobile phone/tablet portable. (has passed the utility model patent). Versatile on-demand selection UHF comes standard with 1D/2D scanning, IrDA meter reading, glare flashlight, etc. With charging function Built-in large-capacity 6000mAh battery can charge the mobile phone at any time to complete the outdoor mobile phone life. Bluetooth Communication The software adapts quickly, the mobile phone does not need to make any changes (providing communication interface, SDK and source code), which greatly shortens the project landing time. 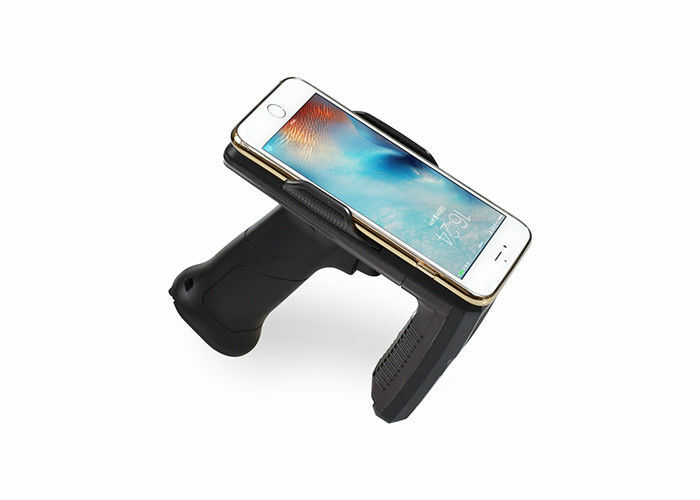 Long life cycle, low cost of iteration After the mobile phone is upgraded or replaced with a new battery, this is the latest PDA: not only can the low-cost sharing of the mobile phone/table change performance, but also the cost of purchasing.Dynamic data collection function. Good heat dissipation and durability Metal body heat dissipation is good, long life is not dead, and it is durable and durable. Tilt design with handle The handle has a good grip, easy operation and good reading angle. 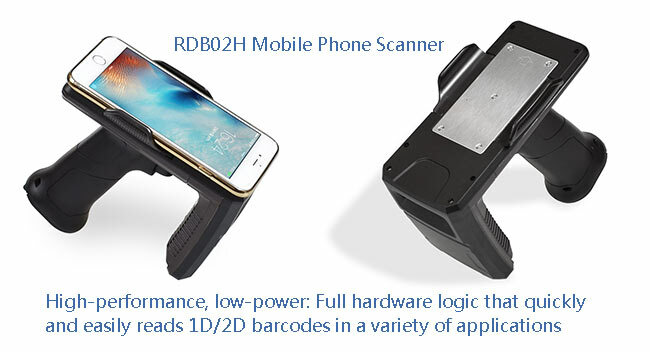 Features High-performance, low-power: Full hardware logic that quickly and easily reads 1D/2D barcodes in a variety of applications, but requires only one-third of the power consumption of a typical product.LCD screen/phone barcode recognition: Easily solve the increasingly common problem of barcode recognition of mobile phones, and make the preparation of products or solutions more complete.Red light illumination laser aiming: With lighting and cross aiming, you can read barcode targets in a completely dark environment. Flashlight Powerful torch 1W Strong light flashlight for use in dark environments. Smart function LED display 4LED shows the charge and discharge status and power and 2LED display barcode and its Bluetooth working status. Automatic power-on charging When the USB cable is plugged into the interface, it will automatically charge without pressing any buttons. Automatic detection When the USB cable is plugged into the interface, it will automatically detect whether the phone should be charged.. Priority charging When the USB cable jack is input, it will preferentially charge the external mobile phone, and the extra current will charge the built-in battery. UPS Function If the external power supply is suddenly interrupted during external power charging, the internal battery will continue to charge the phone. Battery over discharge protection HW & SW dual protection, priority to enable software protection.